We've been in our new home over a year and I've been wanting to "break it in" some more by redoing the kids rooms. My husband can't understand why I want to paint etc. since the house is so new. Silly guy! That's the perfect time to paint and make the house a home. I decided to start on my baby girls room. I felt so inspired. I knew I HAD to have it in my little girls room. And thus, I based the entire room from the inspiration I got from that Decal. 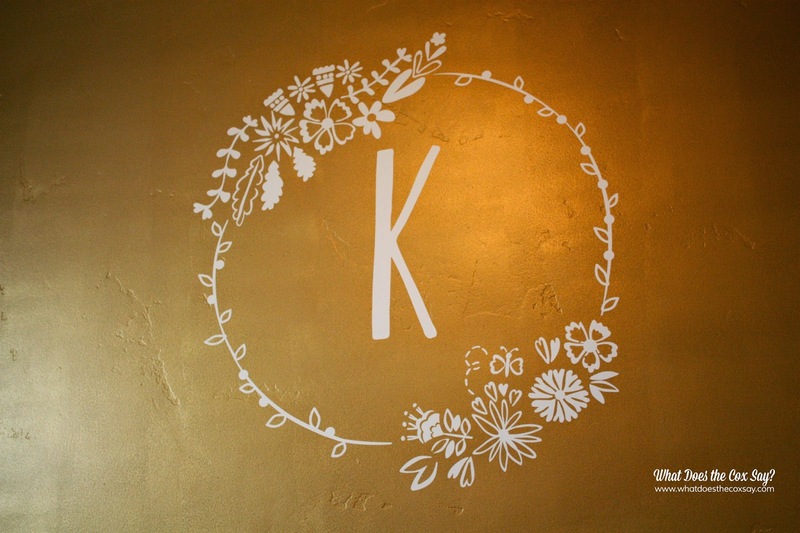 I ordered a large one because I wanted it to make a BIG statement, and I also ordered a large letter K from their tall and thin monogram vinyl decals. I knew I wanted both the frame and the letter to be white. 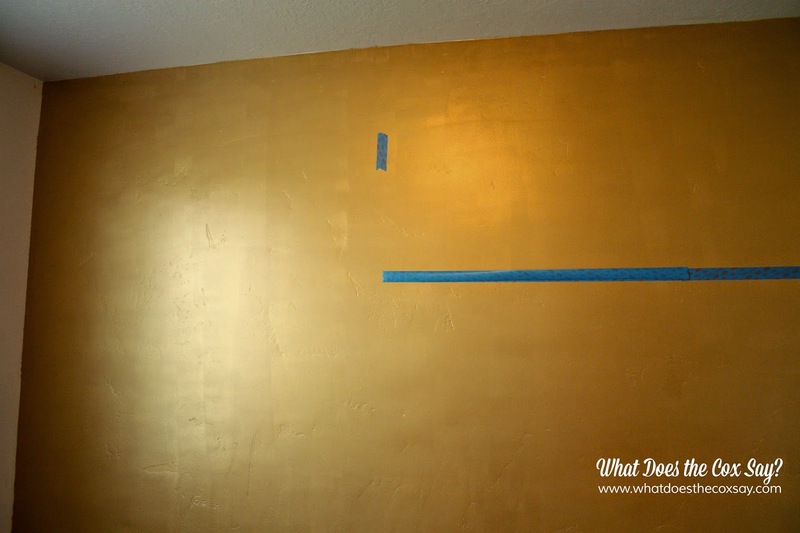 So I thought a lot about what color I wanted her walls to be or if I wanted an accent wall. I knew I wanted it to make an impact as well without taking away from the gorgeous frame, so I decided to go with a gold wall. But it HAD to be gold, as in metallic. The only one I found was from the Martha Stewart line at The Home Depot. 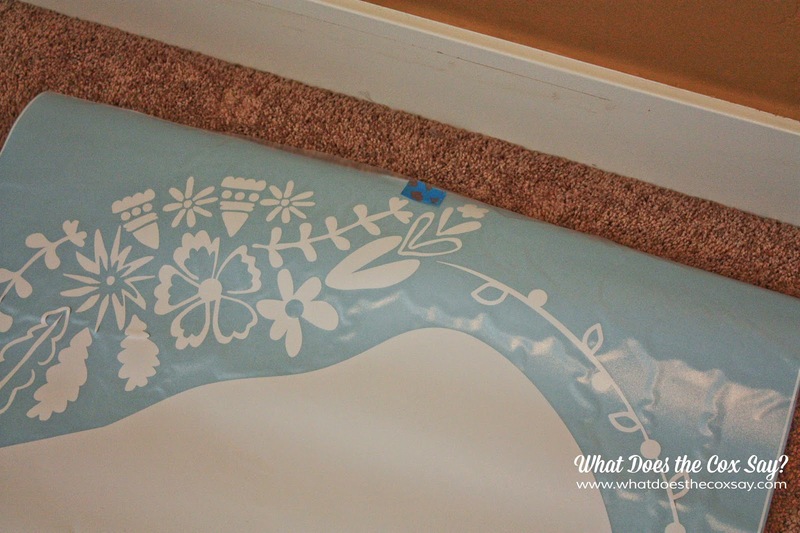 I wanted to share with you how I got my decal in the perfect place without messing with measuring tape etc. I found the height of where I wanted my decal and went from there. 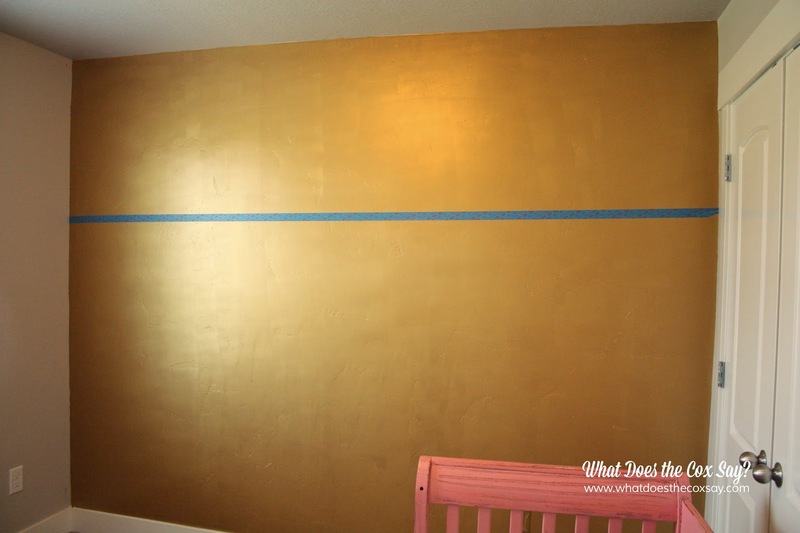 I started by putting a line of Scotch Blue tape across the wall. From there I marked the height of where I wanted the top of the decal.And folded back the tape onto itself until I reached the wall I started taping from. Then I found the middle of my decal and put the line of tape there so I wouldn't lose it. I loved how smooth the vinyl went onto the wall. It almost looks like it was painted on. From there I added the "K" and I kid you not, my heart skipped a beat! I loved it so very much! I then set up her bed and bedding where it was going to be with her favorite bunny. It makes my heart swell because it used to be my favorite bunny when I was a baby. 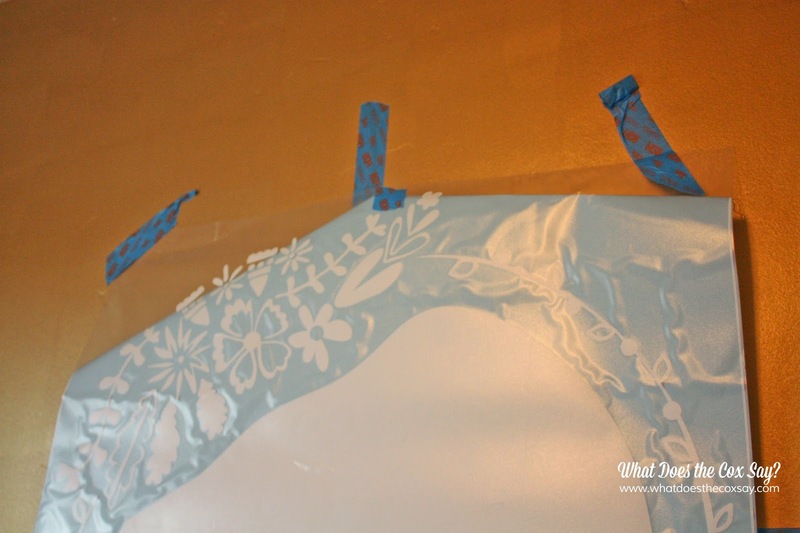 I also have some more plans in her room that involve a curved curtain rod, ruffles, a chandelier, and ribbon! So check back soon for that. I did receive the vinyl decals from wallternatives.com in exchange for my post. Let me tell you, I am so grateful I did. My daughters room is my favorite room in the house now! I absolutely love them, and that is my opinion, not something I was asked to say! Wallternatives has some very fun products that were just released or coming soon. You should really check them out. I am IN LOVE! 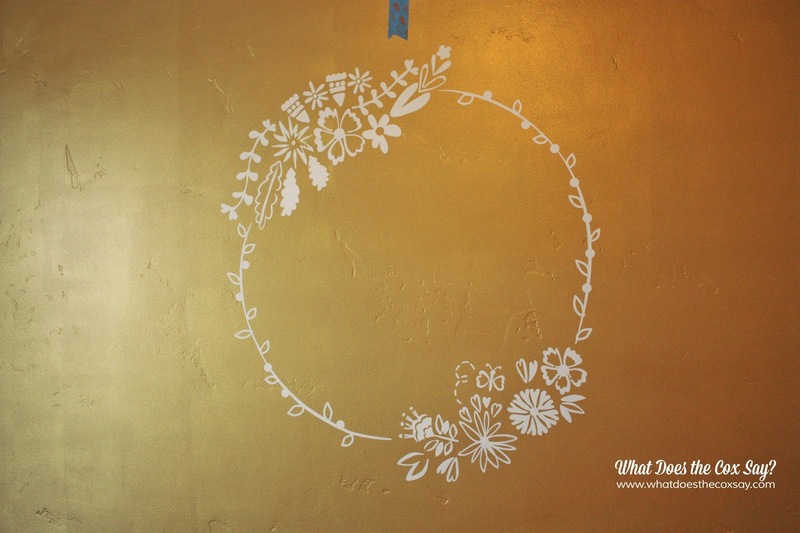 · Their vinyl designs are cut to look like stenciling or hand painted designs, but are applied to your wall in minutes. · They offer 18 fashionable matte vinyl colors, plus metallic gold and silver. 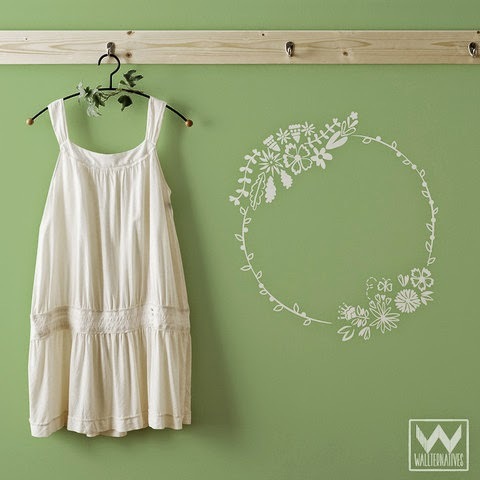 · Their Designer Vinyl Decals can be easily removed for up to 3 years by simply peeling it off the surface. · The vinyl is easily removable, but not repositionable unless your pattern is a large single shape. 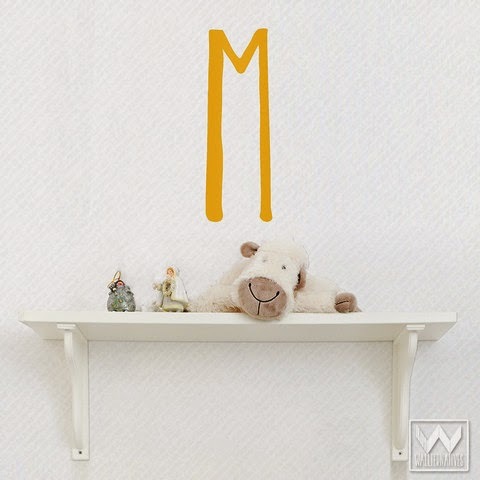 If you are looking for a repositionable pattern, you'll want to check out their WallPrints™ Fabric Decals. as the applied vinyl will not be affected by heat or humidity. 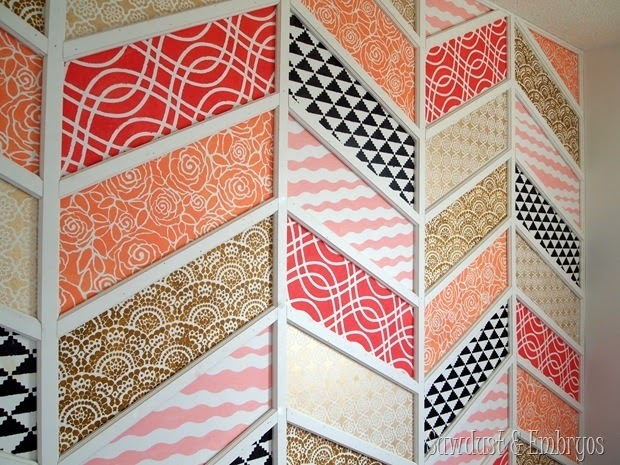 Someday when I have a house will you decorate it for me?! Seriously though! You are so creative. I have no vision when it comes to that kind of stuff. I would love to learn, but I'm not really sure creativity is something you learn :) I sure hope you and your cute family are doing well! 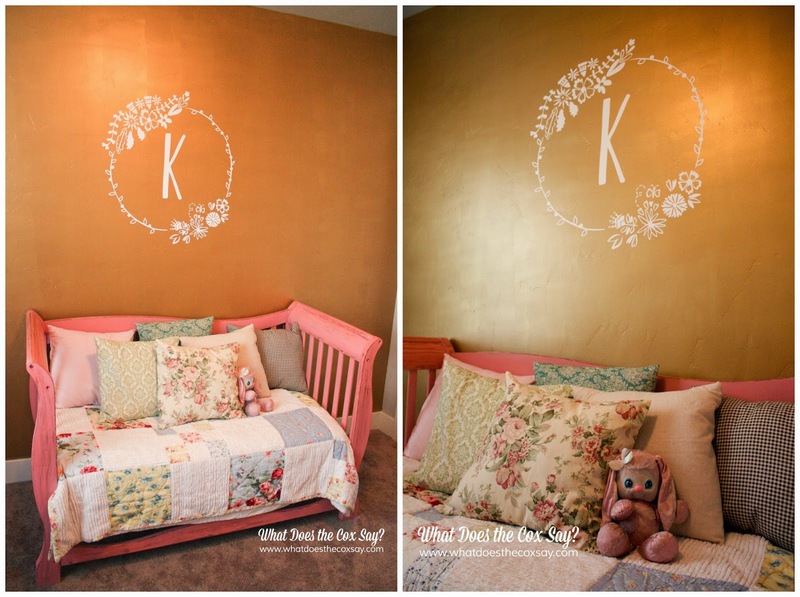 I'm itching to redo my daughters room. I love this! So perfect. Thanks!